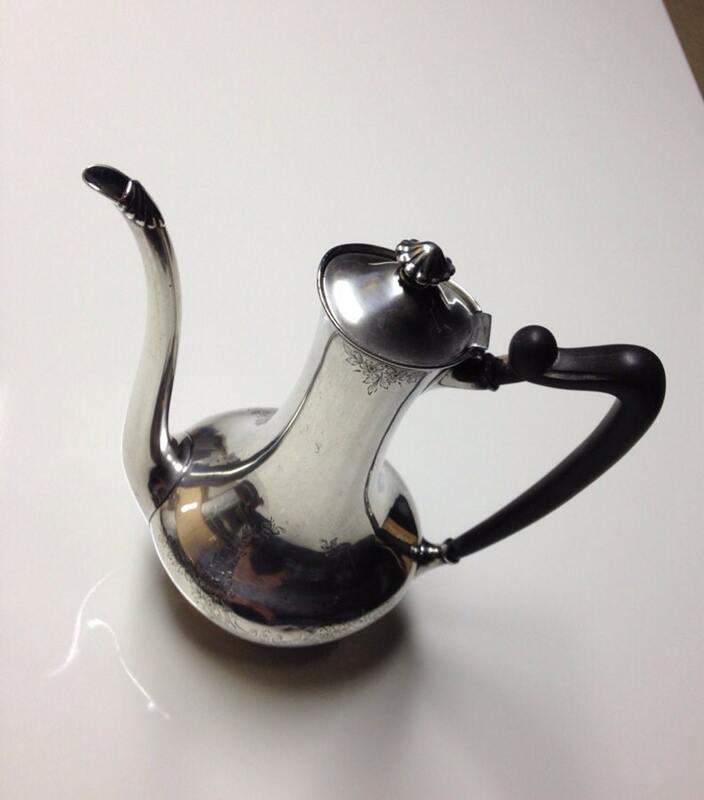 Presented is a tall elegant sterling silver coffee or teapot made by Towle Silversmiths. The pot has a simple smooth finish design with intricate chased floral pattern in the brite cut style around the base and rim. There are no monograms on this item. 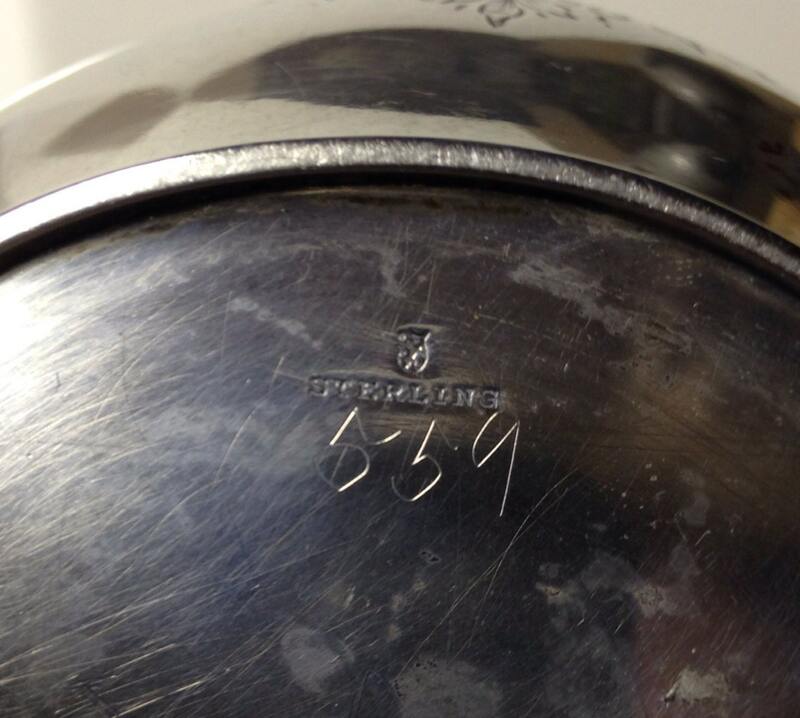 This piece is marked on the underside with the maker’s mark for Towle and Sterling for sterling silver. The teapot is marked with the capacity of 2 1/2 Pints as well as some numbers 5513, 31, 539. It also has a retailer's mark for Boston: Bigelow & Kennard. The condition is excellent. The teapot has no notable dents or scratches. There are no dents, no splits, no breaks, and no repairs. Some patina. The handle is of an ebonized wood and has very minor loss to the finish. 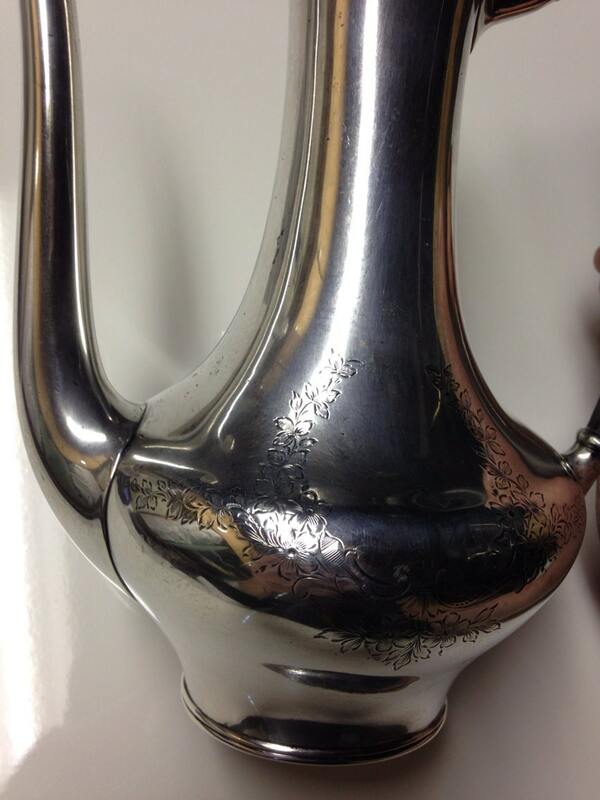 Classic sterling silver finial on the tight fitting oval lid. 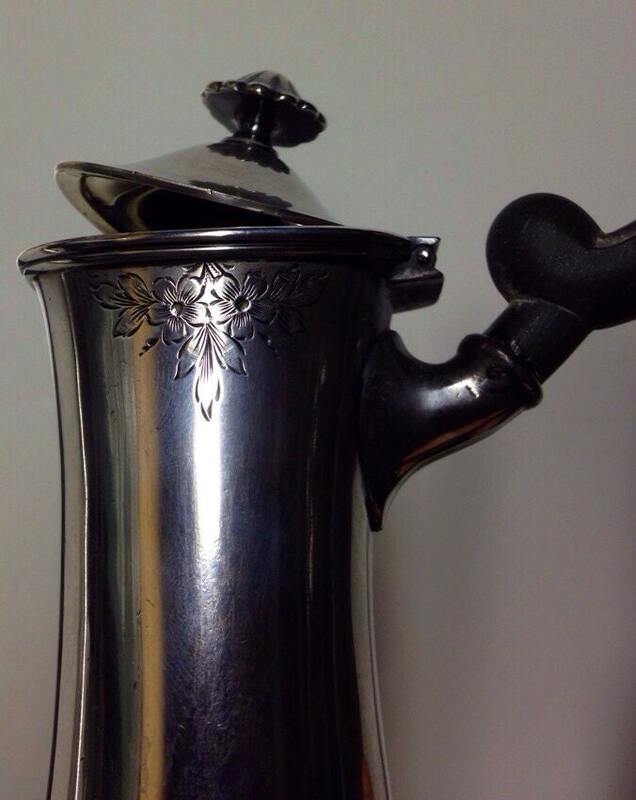 The weight of the teapot is 374.2 grams or 13.2 ounces. 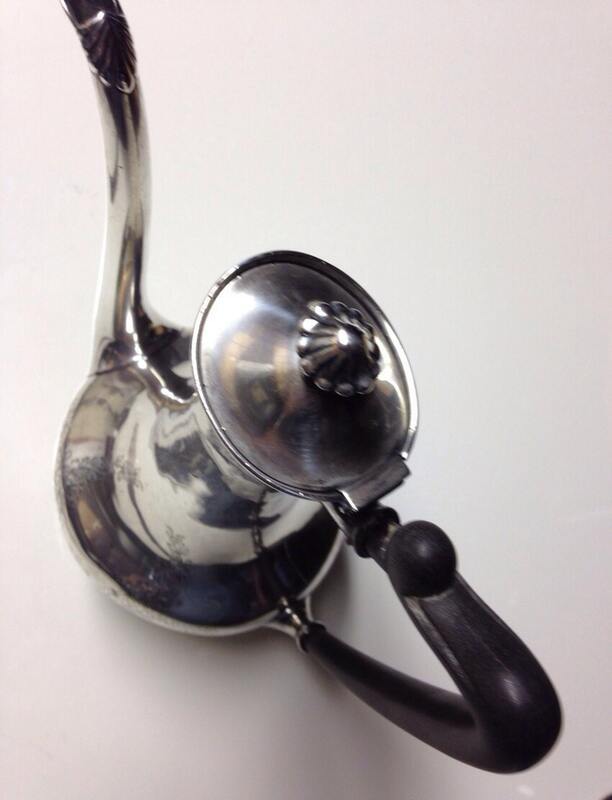 Height is 8.5" and width from handle to spout is 7.25".